We’re happy to announce that Buddy now officially supports GCC. GCC, or the GNU Compiler Collection, lets developers to compile applications written in C, C++, Objective-C, Fortran, Ada and Go (to which we already have a dedicated action), alongside libraries for these languages. The action was added in response to numerous requests, especially from C/C++ developers. 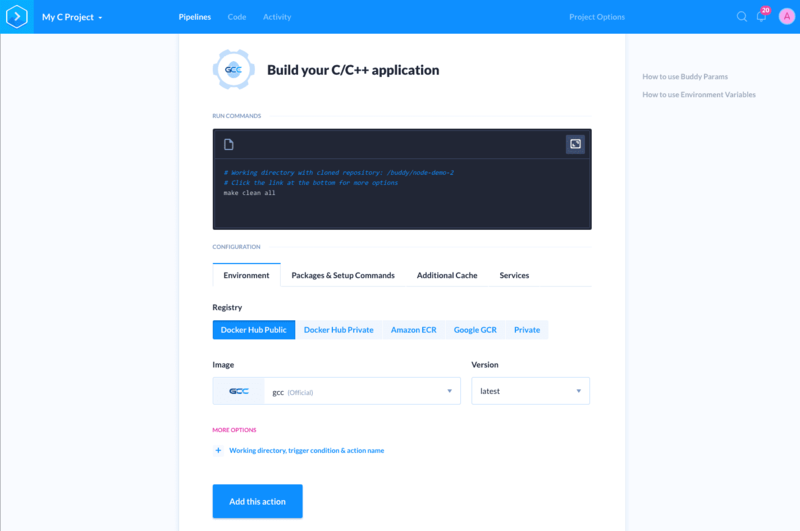 Add and configure the GCC action. You can install any missing dependencies in the Packages tab.